California State University – Los Angeles appears in our ranking of the 10 Best ABA Master’s Degree Programs in the West. California State University – Los Angeles offers a convenient option for students who want to study Applied Behavior Analysis in the LA area. There are three different program options that allow students to earn a certificate or a degree in this area. Though ABA specialists often work with clients who have autism, they can also work with anyone on the autism spectrum. The university offers an Applied Behavior Analysis certificate program that includes just six courses. Research Methods in Single Subject Design prepares students for doing research in the field and designing treatment programs based on the needs of one individual. Analysis and Applications of Verbal Behavior is another required course that focuses on improving the verbal skills of clients. California State University – Los Angeles only offers this program at the post-graduate level. Students must have a graduate degree in counseling, psychology or a similar field to enroll. Though this California State University campus has several counseling programs, it’s one of the only in the state with a counseling program that has an emphasis on applied behavior analysis. This program has approval from the board certification board for ABA therapists and can help students get their counseling credentials. Students have the option of taking a thesis or project planning class and then doing a thesis or a project, but they can also take a comprehensive exam in lieu of doing a project. They will also take three fieldwork experience courses that function as practicums and 11 other required classes. In addition to a Master of Science in Counseling, the university also designed a Master of Arts in Special Education with an emphasis on Autism Spectrum Disorders. Majors may need to take some prerequisites, but they will also take required courses, including Fieldwork with Students with Disabilities: Autism, Seminar in Advanced Study in Human Development, Analysis and Application of Verbal Behavior and Advanced Strategies to Support Individuals with Autism Spectrum Disorders. California State University – Los Angeles requires that students in this program either do a thesis or a final project or that they take a comprehensive exam. 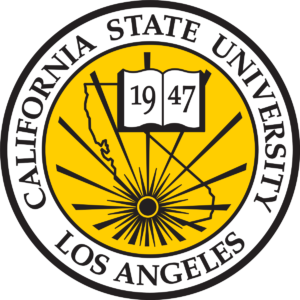 California State University – Los Angeles is a public university better known as Cal State LA. It is one of the more than 20 schools in the CSU system and one of the only in the Los Angeles area. Established in 1947 as Los Angeles College, it used some of the buildings on the Los Angeles City College for its early classes. The two schools worked together until 1955 when Cal State LA decided to open its own campus. It earned regional accreditation in 1954 and became the first university in the nation with a Chicano Studies program in later years. The university now owns two different campuses. One is in the University Hills area, while the second is in downtown Los Angeles. Though the downtown campus does not offer as many courses as the main campus does, it provides students with a convenient way to enroll in programs that are closer to their homes or places of work. A number of residence halls and housing options are available to students within walking distance of the main campus. Its two campuses have a combined enrollment of more than 27,000 students. Cal State LA has regional accreditation from the Western Association of Schools and Colleges (WASC). The university established a committee to make sure that it meets the requirements for this accreditation each time that it comes up for renewal, which occurs once every 10 years. Cal State LA allows students to transfer credits and put those credits towards any of its degree programs, but it also allows those in need to apply for financial aid. All of this is possible because of its regional accreditation. As the university offers both certificate and degree programs, it’s important that students look at the admissions requirements for each one. The certificate program asks that students complete and submit the Cal State LA application and then complete the Charter College of Education Certificate Program Application. This separate application asks for an official transcript and two letters of recommendation. Students can provide two references rather than these letters. They will then meet with a program advisor and have the advisor sign that application before giving it to the university. Those applying to a graduate program must have a bachelor’s degree and an undergrad GPA of 2.75 or higher over the last 60 credits or 90 quarter units of classes they took. They will also submit the Cal State LA application and provide two letters of recommendation. The university looks for both academic letters from former professors and professional letters from those familiar with the student’s fieldwork. Students may need to meet with an advisor or talk with someone in the department to complete an interview requirement too. Full-time graduate students qualify for the Cal State LA resident tuition rate is they are California residents and live full-time in the state. Those students pay close to $4,100 per semester or $8,200 per year. Nonresidents pay the same rate plus a second fee that increases their tuition to $8,850 per semester or $17,700 per year. Students who take classes on the Cal State LA campus and live in the Los Angeles area can establish their residency after their first years and qualify for the resident rate later. The deadline for any student who wants to get financial aid is at the beginning of March every year. Cal State LA has deadlines of the beginning to the end of March for those who want to apply for scholarships, some of which are available for grad students. Those students can also apply for one of the university’s graduate assistant jobs and work as an assistant to a professor in the classroom or on a research project. Many of these positions include funding that covers all tuition and fees and a stipend each semester. Grad students can also use any federal or alternative loans they receive. The California State University – Los Angeles sends financial aid letters to students around one month after they apply to the ABA program or any of its other programs.